So, I get why they do this – a misconfigured NTP server or botnet node can hammer a target server to its knees in a accidental or intentional DDOS. 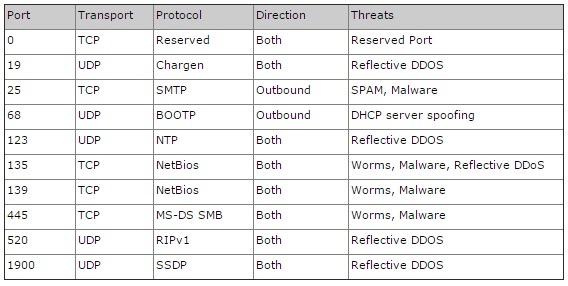 Protecting people from themselves makes sense for NTP and for the other ports they regularly block. Chat session with the billing / business group, who kindly said he couldn’t help, and transferred my chat to a tech support group. The first tech support group changed this from a chat into a call, and couldn’t handle my request, and bounced me to a higher tier support group. This upper tier support group turned out to be a premium internet support group who would only talk to me if I was paying for premium internet support – which he kindly offered to sign me up for on the call. Annoyed at the prospect of paying for something which I thought I already had, I declined. This guy transferred me to a different internet support group who he said could help. Internet support group #2 – a different group from item 2 above – couldn’t help me either, but instead transferred me to the Fiber Support group. A fine support rep from the Fiber Support group knew what I was asking (“Can you unblock port 123 for me?”) and how to do it! Once I agreed that I was taking on risk by unblocking this, she proceeded, and by the end of the 40 minute call, I had at least one of my machines able to set its clock from an NTP server. Success! The total time on the phone / chat with AT&T to get this resolved as just under an hour, and that was once I knew what the problem was and that it was fixable. As collateral damage, when the rep made the NTP unblock change on my fiber gateway, they ended up breaking all other inbound ports, disconnecting several of my servers from the internet. No amount of reconfiguring and resetting on my side was able to resolve this. Another call to AT&T fiber support and this was resolved on the first call, but that’s another hour or two of my life spent on troubleshooting and resolving something that wasn’t part of the problem to start with. So, kudos for the right person at AT&T being able to fix this, but it took far too much work on my part to realize that this was an intentional thing on AT&T’s part and that there was a fix for it. Total time spent on configuration, troubleshooting, research, support call, and testing was easily 6-8 hours, but at least I can happily report that all our home systems now believe it’s the same time.